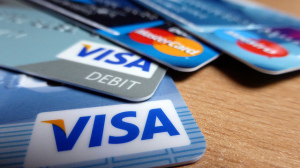 Credit card fraud runs rampant in the United States. I’ve recently had two cards from two different banks compromised within the same week. The amount of time spent on the phone, then ultimately updating my new cards on numerous websites, was considerable. Ever wonder if there is a better way? There is. It’s called Europay, MasterCard and Visa (EMV) or pin and chip. Let’s dig a bit deeper and see what the EMV payment method is all about. EMV is the global standard which places a microprocessor chip into debit cards and credit cards. By doing this, it makes the cards much less vulnerable to fraud when transactions occur in-person. With stronger data security, this new standard is being rolled out soon in the United States. This means that most credit/debit cards are going to be reissued with EMV chips by October 2015. You may have already noticed some EMV terminals have already been implemented in some larger chain and retail stores. The user inserts the card to scan the chip (instead of swiping). The EMV payment method has already been in use practically all over the world and the United States is just about to start catching up. Your outdated card has a magnetic stripe on the back. This keeps information static to that particular card (meaning it does not change once the card’s manufacture encodes it and sends it off to you). The EMV Chip is considered ‘smart’ and each transaction generates unique data. This makes it much more difficult to be used fraudulently, as the information is always changing. Where is EMV Being Used? As you can see, the USA has some catching up to do. In a 2012 survey released by the Aite Group and ACI Worldwide, it was found that 42% of Americans had experienced some form of payment-card fraud in the preceding five years. Fraud is going to go where the vulnerability (magnetic stripe) is. What’s Next for Consumers and Business Owners? Consumers will be getting a replacement. In 2015 approximately 575,000,000 will have to be reissued. The cards will look very similar to your old magnetic stripe card but instead of swiping you’ll insert your card (partially) into a new reader. If you own a business you’re going to need to have your hardware updated to accept the new standard of payment. EMV chip cards look just like traditional cards with a small, embedded chip added. Instead of swiping, chip cards are partially inserted into the reader. Staring on OCT 1 – the liability shifts to the merchant. This means that if a new EMV payment method is used for an in-person transaction where chip and pin is not accepted the merchant can be held responsible. Smart business owners stay in the know and work to reduce their exposure to fraudulent situations and penalties. If you’re a business owner that accepts credit or debit cards, it’s vital to look into a hardware upgrade which accepts EMV payment methods. If you’re not sure where to start feel free to contact us for a consultation.